On the back of successful UK Inland champs and River Champs the weekend’s prior, Chew was planned as a small open supporting the growing local fleet. However through the mist that shrouded the lake on our arrival it soon became apparent that, together with the RS 200s with whom we were sharing, there were a significant number of RS Aeros pitching up from both locally and further afield. 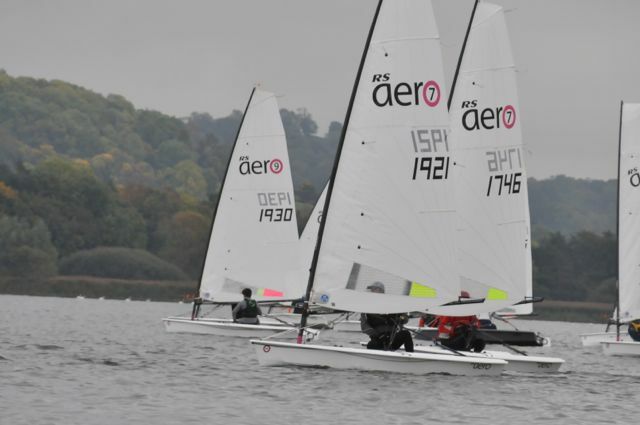 Ultimately as the mist cleared, just in time for race one, 28 RS Aeros in total were rigged. Quite a few new faces had come out to play, plus several brand new boats including a couple busily roping up their new Aeros just in time to race! Once the mist cleared and a nice light breeze had settled the sunshine showed Chew’s scenic surrounds off to their best, almost so pleasant as to be a distraction from focusing on the racing! Congratulations to John Warburton of host club Chew in winning the RS Aero 7s on his maiden voyage on 2147. Another new entry to the fleet, having chartered at our UK Nationals, was Chris Jones of Sutton Bingham who took 2nd ahead of Chew’s home Aeros Mike Riley 3rd and Cathy Bartram 4th. Top Youth, Andrew Frost of Sutton Bingham, won the RS Aero 5s in convincing style in his first open. Marion Lowe of Bradford-on-Avon won the tie break for 2nd from Hilary Ross of Chew. Alice Lucy of Rutland came in 4th at her first event, just a point off 2nd. 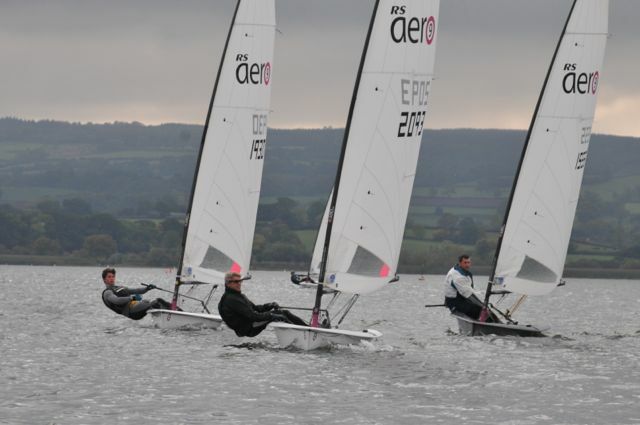 With the lightish breeze the large sailed RS Aero 9 fleet had swollen to 15 entries. Team Rolfe of Burghfield had their usual showdown and this time experience prevailed over youth with Nigel taking 3rd from Ben in 4th. Greg Bartlett had stolen his dad’s RS Aero from Starcross to join the fleet and push hard in each race, reaping the rewards of his persistence in Race 3 to take the win on the final reaches. 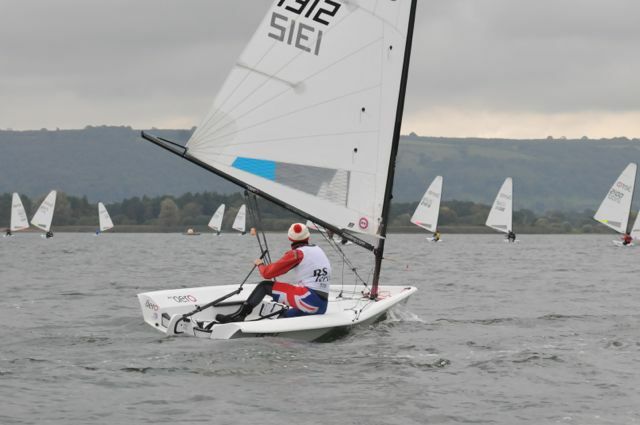 Peter Barton from Lymington took the win in the 9s after eking out leads in the first two races. 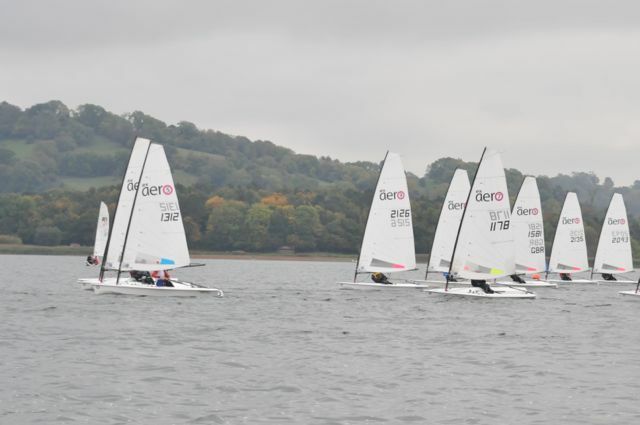 Thanks to Cathy Bartram for coordinating and Chew Valley LSC for hosting a great event for us with lots of sunshine and just enough breeze - and to the RS200 class for letting us share their event. Next up is the season’s grande finale, the RS Classes ‘End of Seasons’ at Rutland on 5/6th November, concluding the year’s Northern and Southern Circuits, online entry is open. Then comes a change of season with our Winter Training series and Winter Events Series.